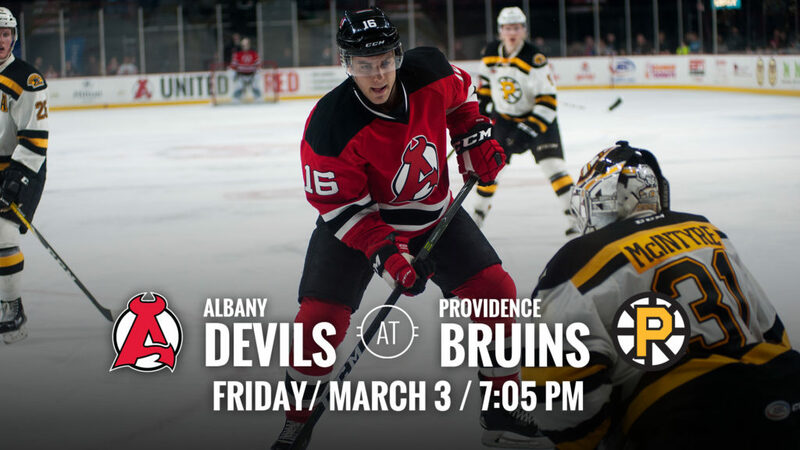 PROVIDENCE, RI – The Albany Devils continue their road swing as they head to Providence to face off against the Bruins Friday for a 7:05 pm puck drop at Dunkin’ Donuts Center. 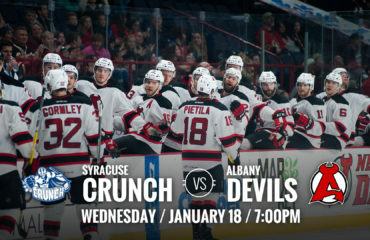 The Devils are coming off a 5-4 loss Saturday against the St. John’s IceCaps and hold a record of 31-24-1-1. The Bruins played the Thunderbirds Sunday and walked away with a 3-0 victory. Their record stands at 33-14-5-4. Goalie Watch: Mackenzie Blackwood played in Saturday’s loss against St. John’s and is currently 11-9-2-1 in 23 games played so far this season. Blackwood’s goals-against average is 2.96 and his save percentage is currently .897. 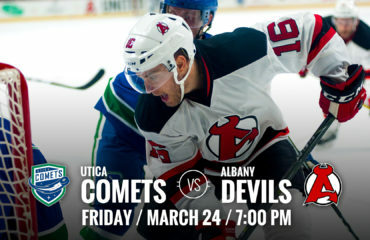 Ken Appleby played in Friday’s outing against St. John’s where he walked away with a 3-2 overtime victory. His record stands at 15-11-0-0 in 26 games played. His goals-against average currently stands at 2.42 with a .908 save percentage. Road Warriors: So far this season the Devils and Bruins have faced off five times. 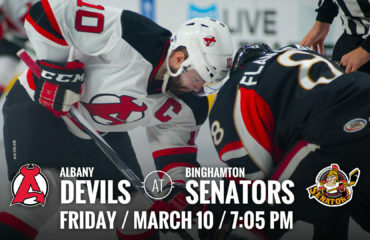 The Devils record stands at 2-3-0-0, however, the Devils are currently undefeated during the 2016-17 season at the Dunkin’ Donuts Center. They faced off in Providence on Oct 14 where they won 3-1 and on Oct 23 where they walked away with an overtime win of 4-3. 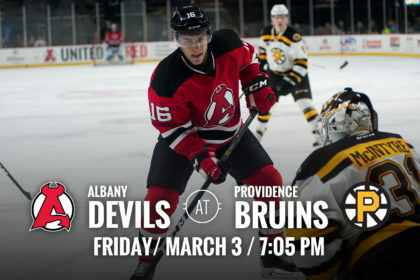 Breaking The Streak: The Devils will look to snap the Bruins four game win streak Friday. The Bruins have won their past four games against Springfield, Wilkes-Barre/Scranton and two games against Bridgeport.